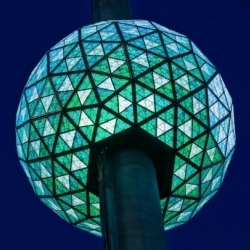 The 2012 Times Square New Year's Eve ball is set to dazzle with more than 32,000 LED lights! 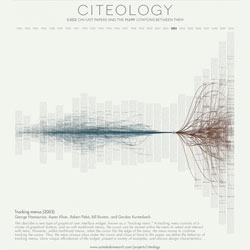 Citeology from Autodesk Research looks at the relationship between research publications through their use of citations. 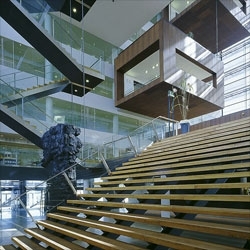 The stunning Nykredit bank headquarters in Copenhagen by Schmidt Hammer Lassen Architecture. 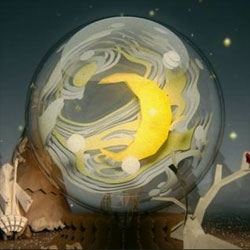 VIDEOStephen Fitzgerald and Nathan Deceasar created this stop motion origami Christmas card to accompany the song by Christmas Is Free by Grant Harold. 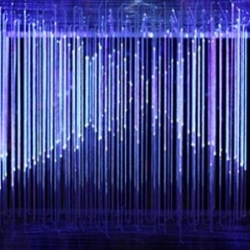 Lumarca is a volumetric display, allowing visitors to experience digital animations in true three dimensional space. 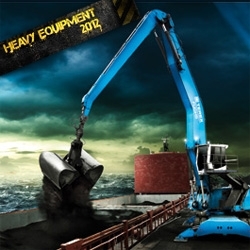 The largest installation to date will be on display at Eyebeam from Jan 12 - Feb 4. “A ream of paper scatters in a gust of wind, soaring high into the black winter night, every sheet glowing bright, against a backdrop of the most exquisite 17th century architecture." 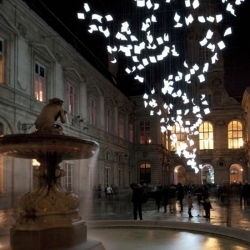 - the Bourrasque installation by designer Paul Cocksedge. 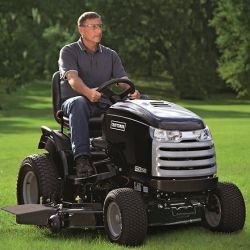 Craftsman are coming to NAIAS with Cadillac of Lawn Tractors, named as CTX. 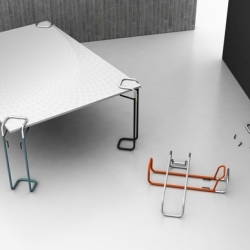 Clipp, an easy to install table leg from DLF which can be attached to nearly every kind of table top. 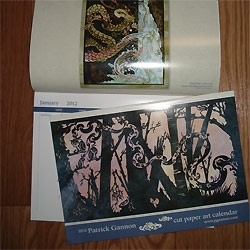 The 2012 Cut Paper Art Calendar. 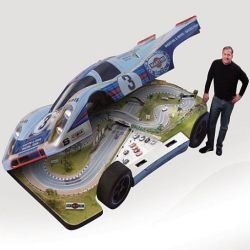 12 Months of fantastically unique paper creations by Japan-based artist Patrick Gannon. 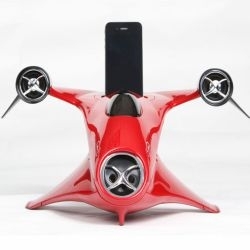 Take a look at this new concept called 'rEvolution' by Czech Republic designer Martin Jakobsen. 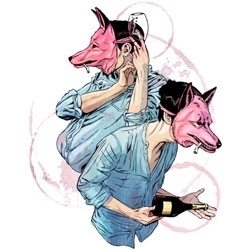 Lovely illustration by Joel Benjamin. 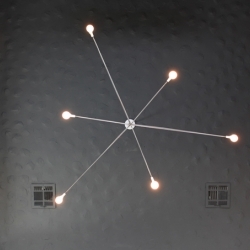 A light weight tensegrity structure makes the bulbs of Brendan Ravenhill's Cord chandelier appear to float. 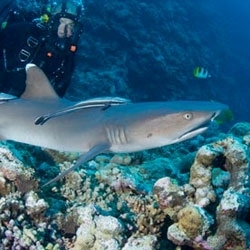 A sneak peek at The Great Barrier Reef, a new BBC wildlife documentary that starts on New Year's Day. 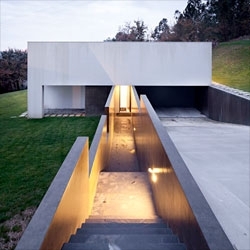 The entrance to Private House by Rui Grazina, a home in Barcelos, Portugal. 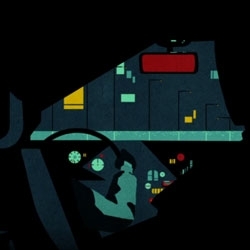 VIDEOTom Haugomat and Bruno Mangyoku's tribute to Drive. 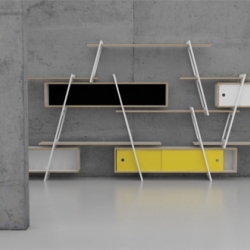 An easy to expand shelving system by German design studio DLF. 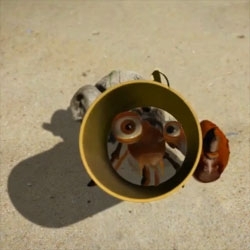 VIDEOHomeless, an short film by Yevgeni Krachak, a student at the Bezalel Academy of Art and Design, which combines cg with live footage. 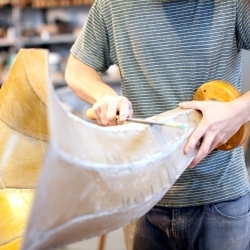 Sonic Arboretum, a collaboration between Andrew Bird and Ian Schneller. 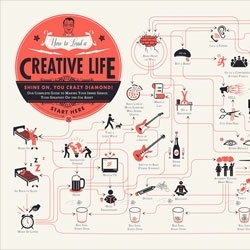 How To Lead A Creative Life, the infographic. 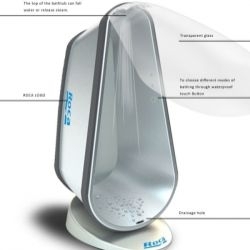 Fast Co's complete guide to making your inner genius your greatest on-the-job asset by Jason Feifer. 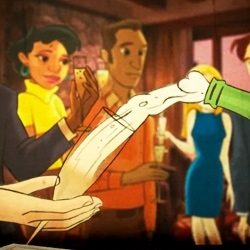 FEATUREDBytesize Science takes an animated look at the science behind champagne. 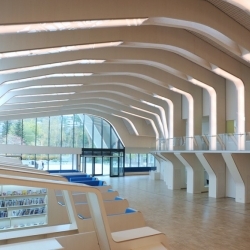 Bananafish Books have expanded their online store to an actual physical location in the northeastern port town of Dalian. 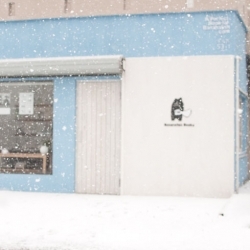 It is the first indie publication bookstore in China. 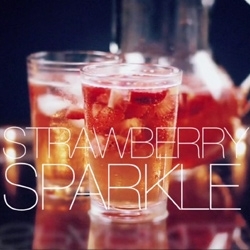 FEATUREDStrawberry Sparkle ~ A great video showing how to make a fresh drink to celebrate New Year's Eve! 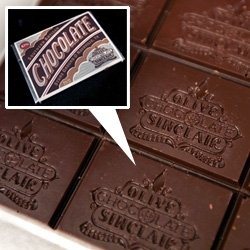 Olive and Sinclair: A bean to bar chocolatier in Nashville, TN. "Made with single origin cacao beans, slow roasted and stone ground with only pure brown sugar for a robust flavor unique to Souther Artisan Chocolate." 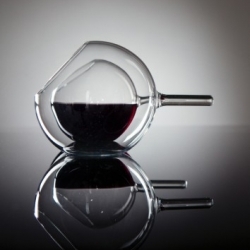 Delicious + beautiful labels! 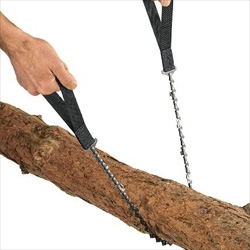 Ultimate Survival Technologies SaberCut Saw - Another option for a hand-operated chain saw which cuts and clears in both directions, so every stroke eats through whatever you need cut. 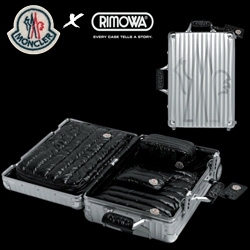 It has self-cleaning cutting teeth and a custom carrying case. 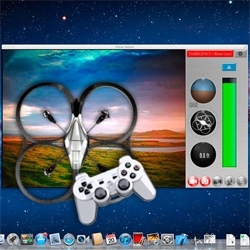 VIDEOThese rainbows are not what they seem. 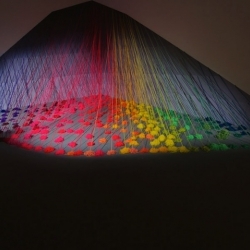 Lee Baker used ten thousand meters of acrylic yarn to create Refractive Monolith, a piece commissioned by The Future Tense. 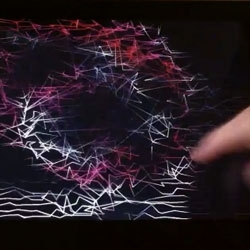 VIDEOThicket, an audiovisual playground for the iPad that allows anyone to create beautiful sounds and pictures from simple finger touches. 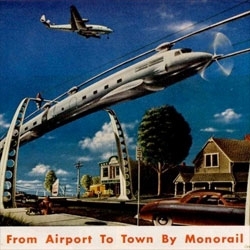 Bohn’s ‘Visions of the Future’ Ads from the 1940s. 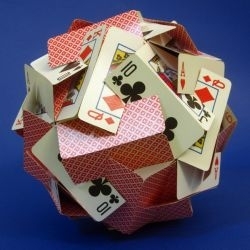 Ball of cards - Thirty cards are required, and each is slotted as in the template below. To build your own, simply copy this pattern onto thirty cards, cut on the red lines, and assemble as in the image. 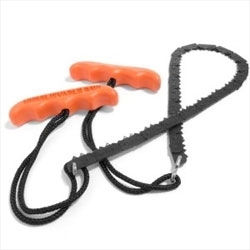 The pocket chainsaw can fold up and fit in a pocket, but is also strong enough to cut 3" think limbs. 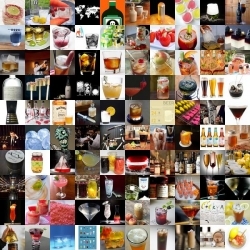 FEATUREDSo many tempting libations at Liqurious in 2011 ~ here are the top 100! 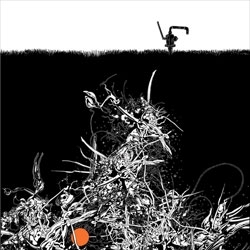 "The Story of Gardens," a mini-comic by Kuba Woynarowski. 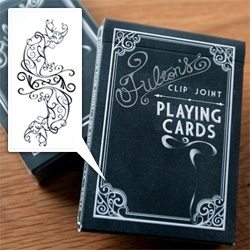 FEATUREDFulton's Clip Joint Playing Cards from Dan & Dave. Inspired by "...a time and place where men were men, women were dames, and the next deal could be your last." 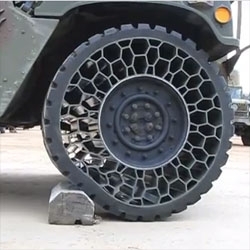 VIDEOA test of the Non-Pneumatic Tire by Resilient Industries. 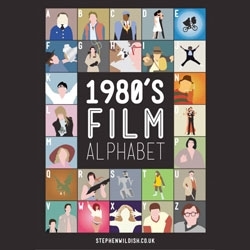 Stephen Wildish's 80's film alphabet. 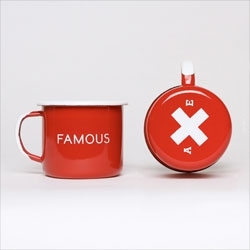 Famous Red Enamel Steel Cups from Best Made Company. 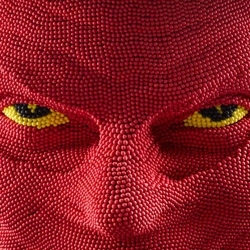 Scottish artist David Mach's 'Matchheads' are made up of thousands of matches, then burned, leaving a charred, yet still impressive, sculpture behind. 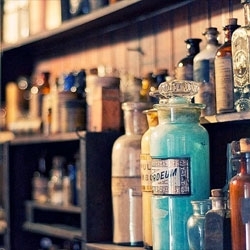 A great find in New Orleans, the New Orleans Pharmacy Museum. 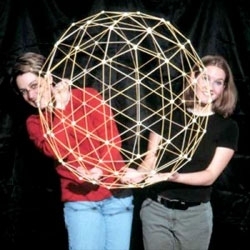 A large sphere kit from Ikoso, a build your own 30″ diameter geodesic sphere with glow in the dark connectors. 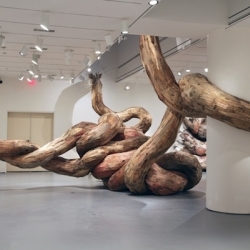 Brazilian artist Henrique Oliveira creates sculptures of tree trunks, making them look like they burst through the walls of the galleries. 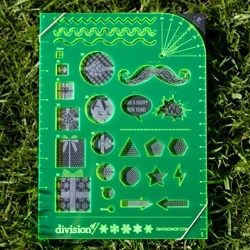 FEATUREDDivision of's holiday card ~ a cute laser cut acrylic ruler/stencil and letterpressed card filled with holiday cheer and fun cheeky mustaches, speech bubbles and more!